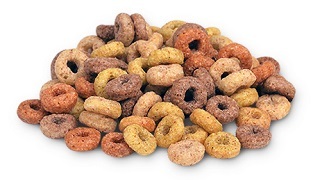 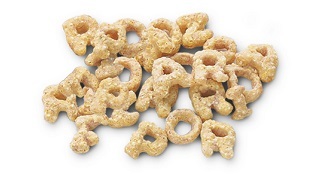 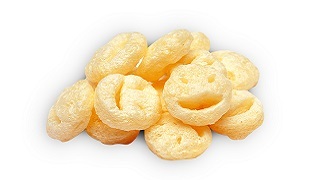 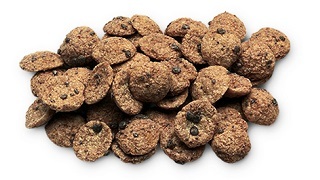 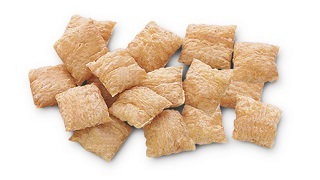 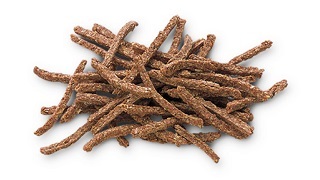 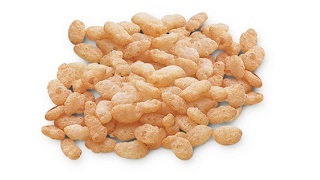 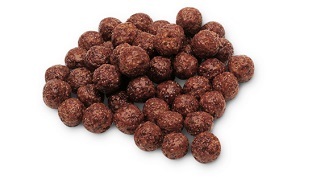 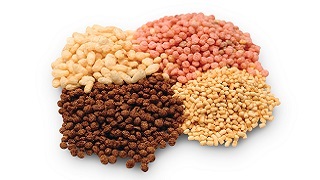 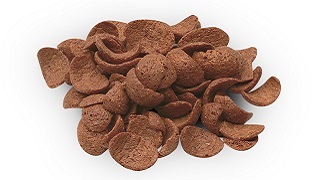 Direct expanded breakfast cereals are cut at the axe of the extruder die to form shapes such as loops, alphabet letters, balls, curls, squares, stars, petals and rings. 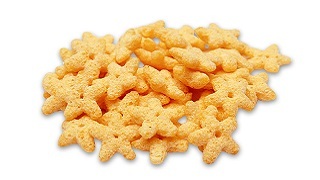 An engraved die will make more complex shapes, such a faces or animals in order to appeal to children. 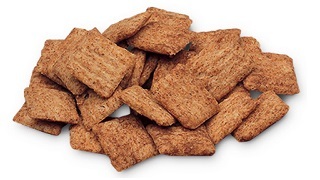 Larger pieces such as bran sticks or unfilled pillows are also possible, and varying the type of grain provides alternative surface textures. 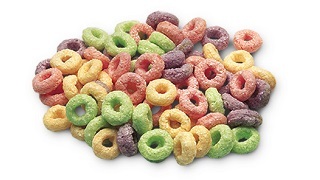 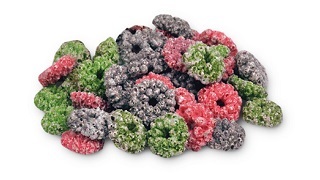 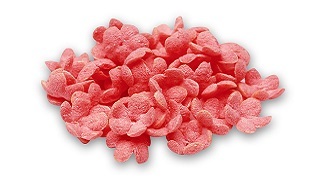 Colour changes of an extruded breakfast cereal can be made ‘on the run’ to provide, for instance, mixed fruit colours in a single packet.